The European Union considers the diplomatic dispute between Moscow and Washington a "bilateral" one and is giving the fracas a wide berth, an EU Commission spokesperson has said. While not a direct condemnation of US actions, the bloc is clearly keeping its distance, and may not be dancing to the US' tune as enthusiastically as it once did. On August 2, US President Donald Trump signed a new raft of anti-Russian sanctions into law — despite the protestations of European leaders and businesses, and apparent reservations of his own. The sanctions target Russia's defense, intelligence, mining, shipping and railway industries, restrict foreign dealings with Russian banks and energy companies, and even require Congressional approval to lift them, effectively limiting presidential powers to ease restrictions on the country. In response, Moscow was compelled to adopt a number of retaliatory measures of its own, including suspending the use of all US embassy warehouses and its compound in Moscow, and the expulsion of 755 US diplomats (while criticized by US leaders, the move merely equalizes the number of US diplomats in Russia with Russian diplomats in the US, at 455). Given the leading role taken by the EU and its constituent member states in the original wave of anti-Russian sanctions, imposed in the wake of Crimea's reunification with Russia in March 2014, one might expect the bloc to likewise wade in on the US' side this time round — or at least offer a public stance on the quarrel. However, this time round, the EU appears to be staying well put. Asked by a mainstream outlet how the spat could affect the EU, a spokesperson for the European Commission declined to comment on the "bilateral issue." The Commission's lack of comment on the situation is particularly intriguing as it comes a mere day after Christian Lindner, leader of Germany's Free Democratic Party (FDP), called for Crimea's reunification with Russia to be viewed as a "permanent provisional solution" — and for associated sanctions on Russia to be lifted. While not the first mainstream politician in Europe to criticize the ongoing sanctions program, Lindner is the first to overtly acknowledge the fundamental stated basis of the sanctions is without merit. In explaining his views, Lindner said he was merely verbalizing what "many others" also thought, and had already "quietly" been effective German government policy "for a long time." 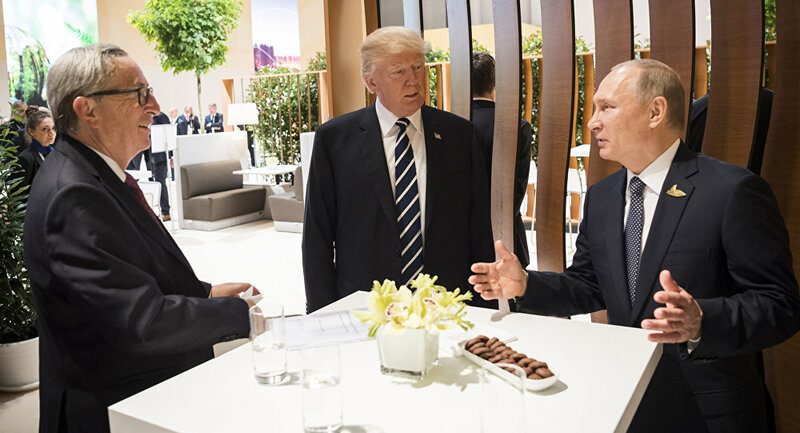 The EU's official stance on the diplomatic spat between Russia and the US, or lack thereof, could be a further indication the bloc is no longer willing to unquestioningly follow the US' lead in international relations. After all, while far from universally supportive of constructive relations with Russia, member states are aware they potentially have much to lose as a result of the sanctions — and analysts have previously spoken of Europe pivoting from the US politically and economically, towards a more independent policy path, if the impact is suitably deleterious. With many predicting significant damage to Europe in the years ahead, particularly in the energy sphere, that seismic oscillation could well come to pass.